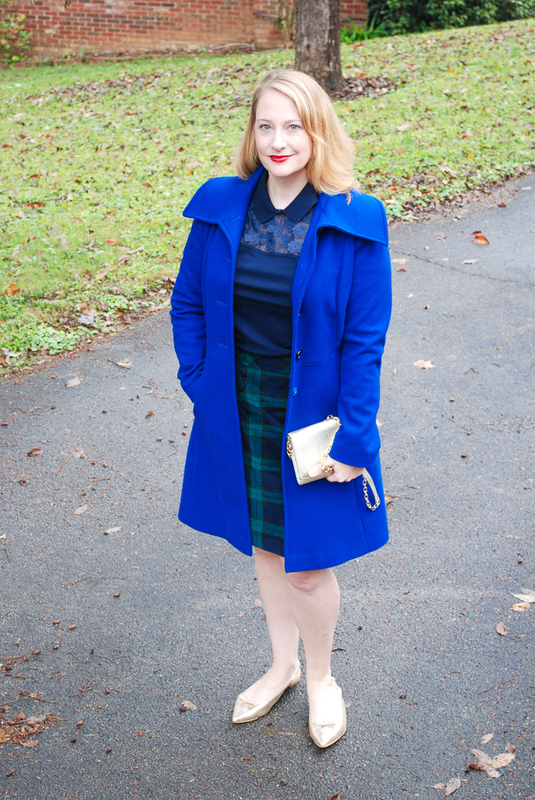 One black watch skirt styled two ways: a versatile holiday plaid you can dress up or down. 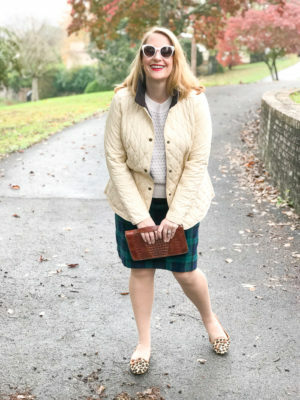 It’s a mad plaid world, and I just can’t stop! 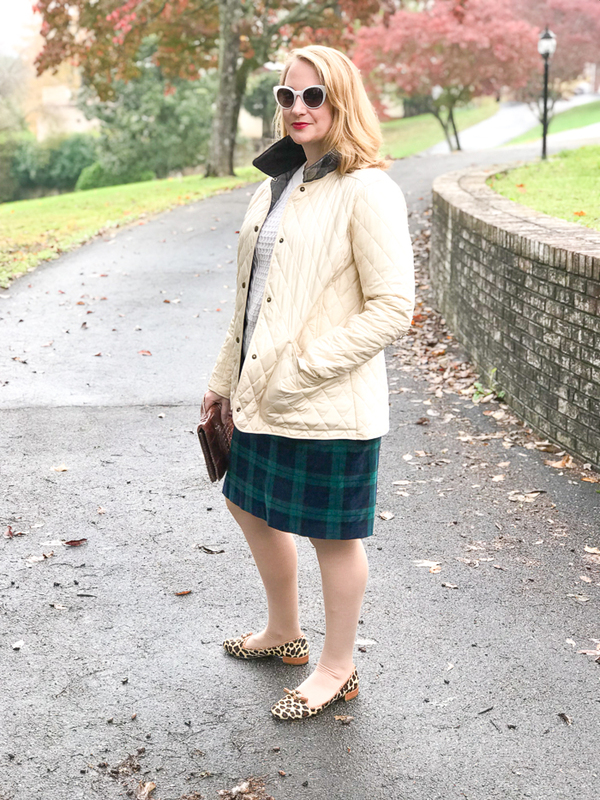 Today, I’m sharing a velvety black watch tartan skirt worn two ways for the holidays: casual and dressy. 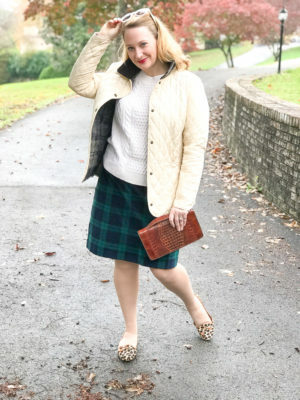 If you are not into plaid, you might want to skip P&P for the foreseeable future, but if like me you feel strongly that there can never be too much plaid let’s mingle and be merry! 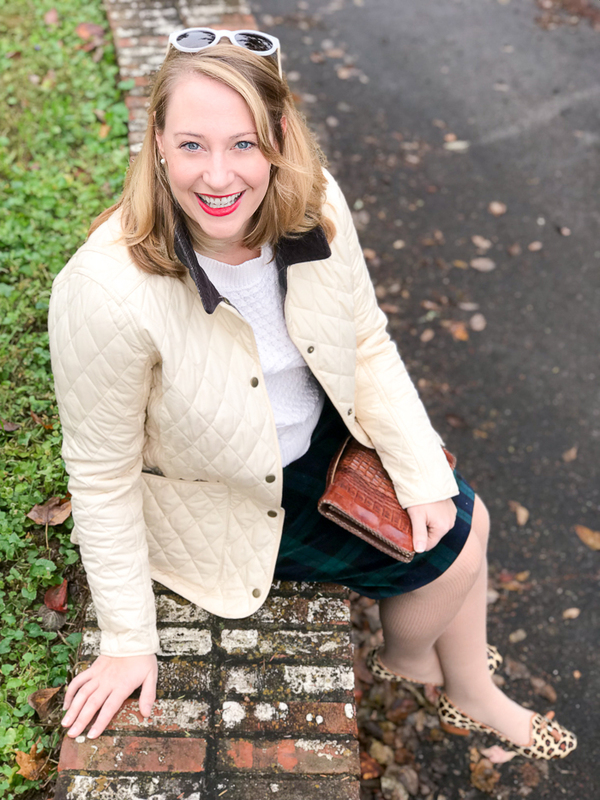 If you are looking for a more subdued holiday plaid that goes with simply everything, go with black watch. It is the universal tartan after all! 😉 You can dress it up or down, pair it with neutrals or pops of red, the options are infinite. 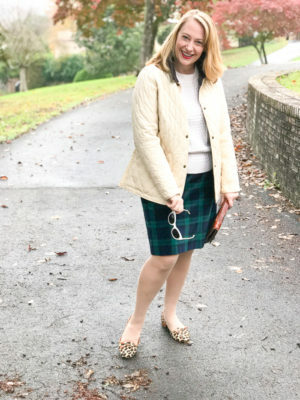 I’ve styled this black watch skirt that I bought from Talbots last season two ways. Casual for daytime holiday outings: brunch with the girls, touring Christmas homes or light displays, shopping trips. 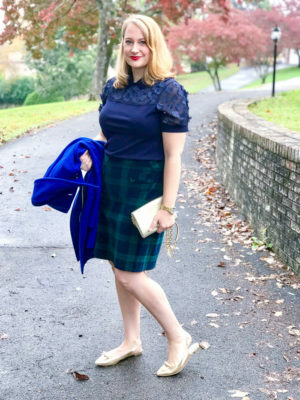 Dressy for evening events: showings of the Nutcracker, cocktail parties, dates out with the hubby. Want more black watch tartan options? I’m adoring this little ruffle neckline dress from Vineyard Vines. I would wear this black watch top with jeans for casual days or with black pants for the office. For a chic, dramatic look pair this cape with a velvet dress to head to a swanky holiday gathering. You may notice that several of the source links above say “SIMILAR” that is because I routinely shop my closet and mix old pieces with new. I strongly believe in buying quality, classic pieces that will last you year after year. When a link says this it just means that my exact piece of clothing is a past season, but I’ve found a very similar style for you that in fact I would buy today if I was looking for that item. I love the clutch bag, what a find. Also as an aside, your hair is lovely longer. 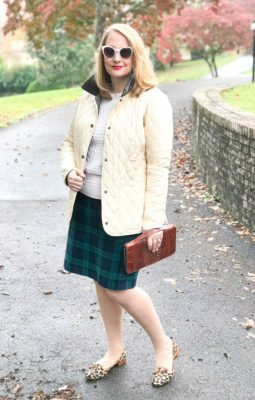 You can never have too much plaid! Both of these outfits are so cute, especially the plaid and leopard! Jill, I just found this #plaidandleopardsarebffs — so true! Thanks for stopping by. Great choices! It’s so true, though I’m all about the loud, tartan red plaids, the black watch plaids really are festive but more subdued. 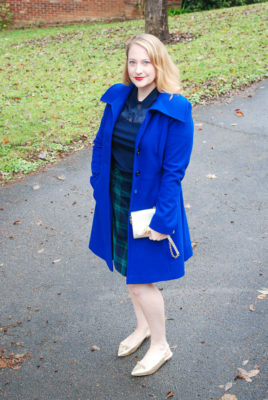 I love the loud plaids too, but some events call for a more subtle look! Cheers & Merry Christmas Virginia! 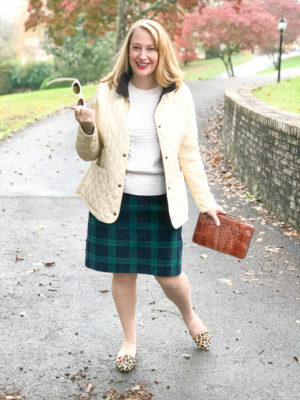 That plaid skirt is so cute! I love how versatile it is. Also that clutch is just gorgeous! Why thank you Ruth! It is one of my favorites, and I don’t carry it nearly enough!